** Yoga and Hindi lessons to be held soon. Manoj Dwivedi Ji, is available during these hours. Abhishek is carried out on the Murthi's every morning and Bhajans have been held every evening since the Mandir inauguration. The cost of Abhishek and poojas can be found here. Please contact the Mandir directly for booking details here. All are welcome to perform an Abhishek and participate in Bhajans regardless of religion, caste, colour or creed. Discipline must be maintained at all times in the Mandir. Men and women are segregated and children must be kept at bay and should not be running around. If you would like to do pranam at the front of the hall, please do so after Bhajans and Aarti has finished so that other seated devotees are not disturbed, appropriate food or flowers can also be donated at the front collectively after Bhajans but before the Aarti has started so that again no one is disturbed. Dinner is served on a Saturday evening and cooking is done in groups based on a rota. If you would like to start up a group or volunteer for help, please contact the Mandir directly here. The Hanuman Chalisa is recited nine times every third Saturday of the month alongside Bhajans. The Sathyanarayan Katha is performed every month on Puran Mashi (full moon) day from 6.00pm. 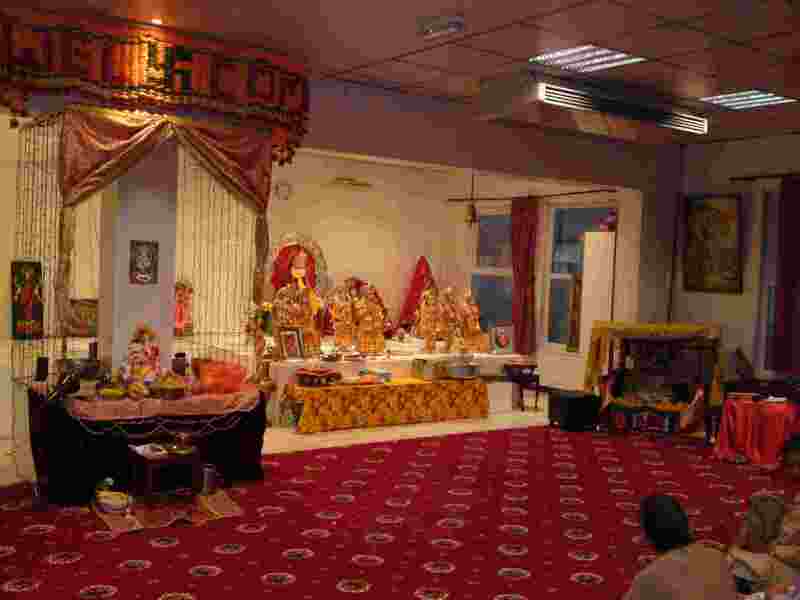 Throughout the year you can participate in Poojas and the dining hall and kitchen area can be hired out for events. For prices and full details click here.